Advertising and collateral materials produced for Artam Studio clients. All corporate and product names and marks featured or referred to herein are the property of their respective rightsholders. The creative contributions of others that may be included are shown only as it relates to Artam Studio's production of these pieces and in no way infringes on any of their rights. 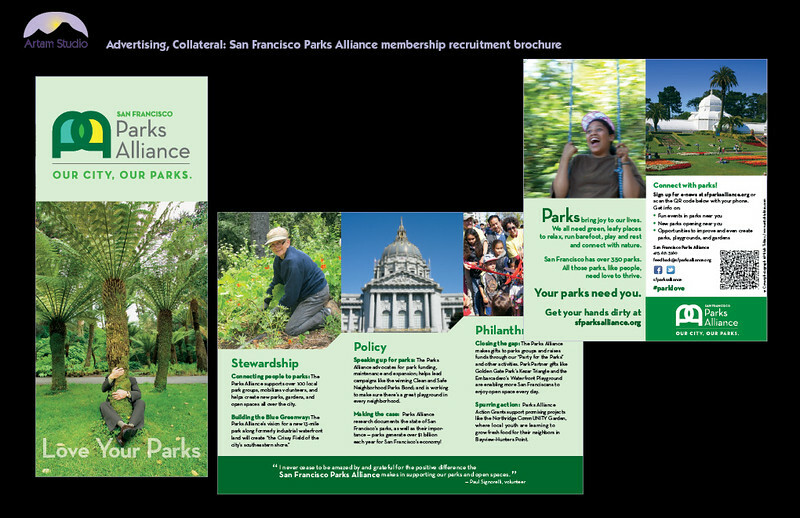 Design and produce 4-color trifold informational/membership recruitment brochure for S.F. Parks Alliance, including image sourcing & prep, spec colors, match to corp identity, copyfit, upload print-ready PDF to printer. 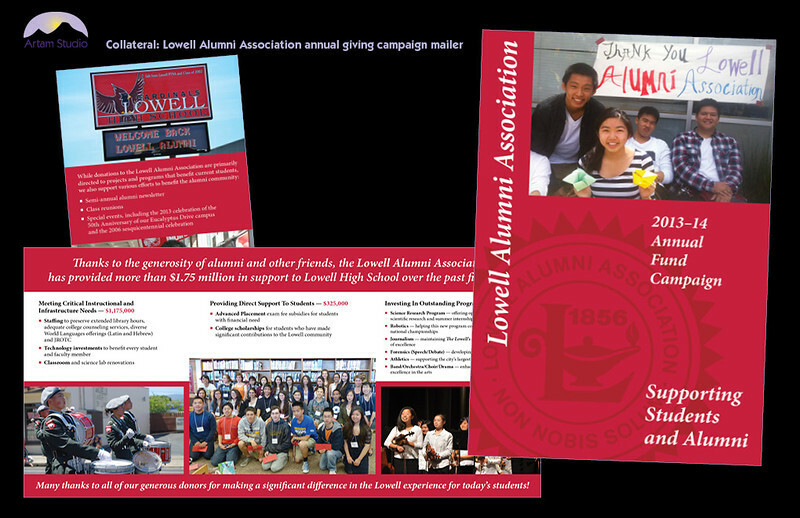 Design and produce 4-color self mailer, including spec colors, prep photos, upload print-ready PDF to printer. 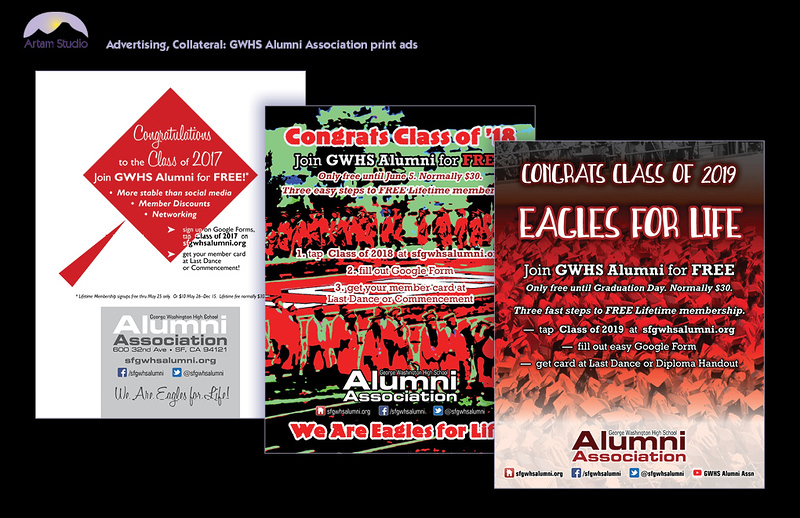 Design and produce 4-color trifold informational/membership recruitment brochure for GWHS Alumni Association, including image sourcing & prep, match to new corp identity, copyedit, spec paper, source printer & upload print-ready PDF. 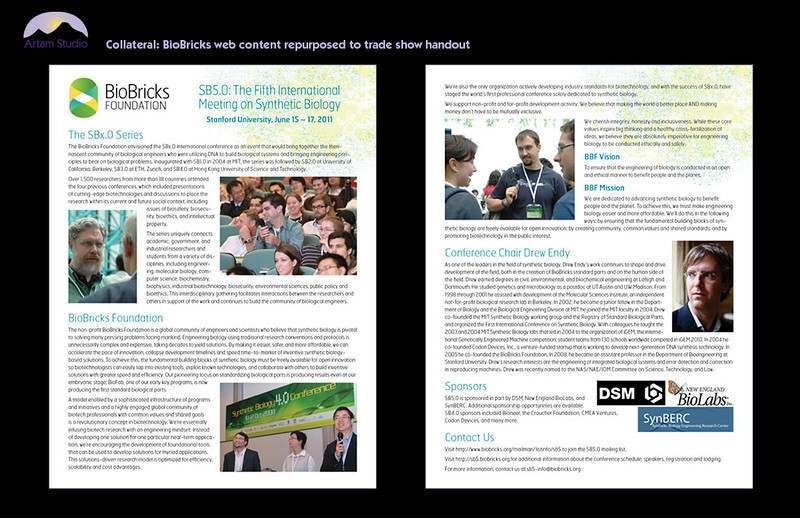 Repurpose BioBricks web content to full-page handout; obtain, select & prep photos, edit copy, design/produce & upload to printer. 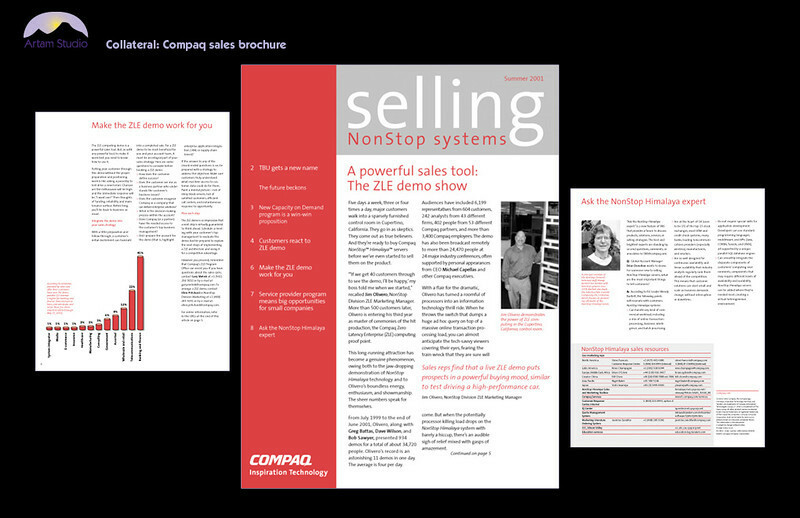 Produce 8-page, 2-color Compaq product newsletter to existing template. Obtain, scan and edit images, convert to grayscale, create infographics. Prep files and hand off to printer. Yes, I have used Windows too! 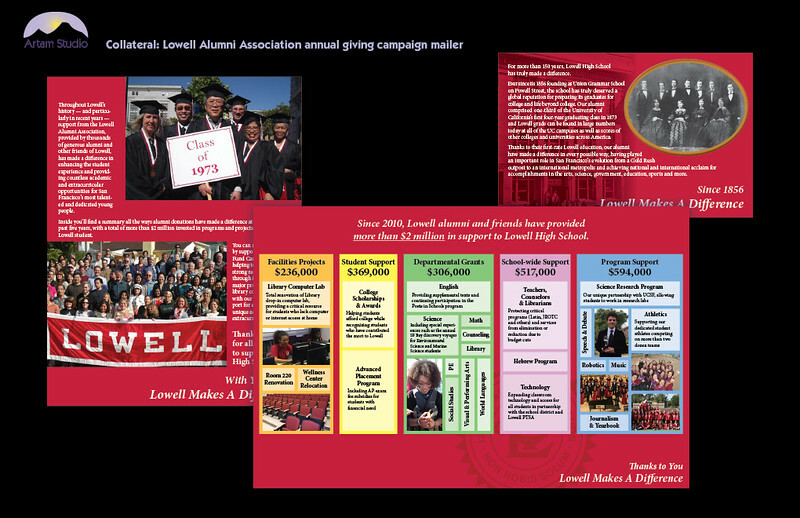 Design and produce 4-color trifold mailer insert, select & prep photos (2 of which are Artam's), package & upload print-ready PDF to printer. 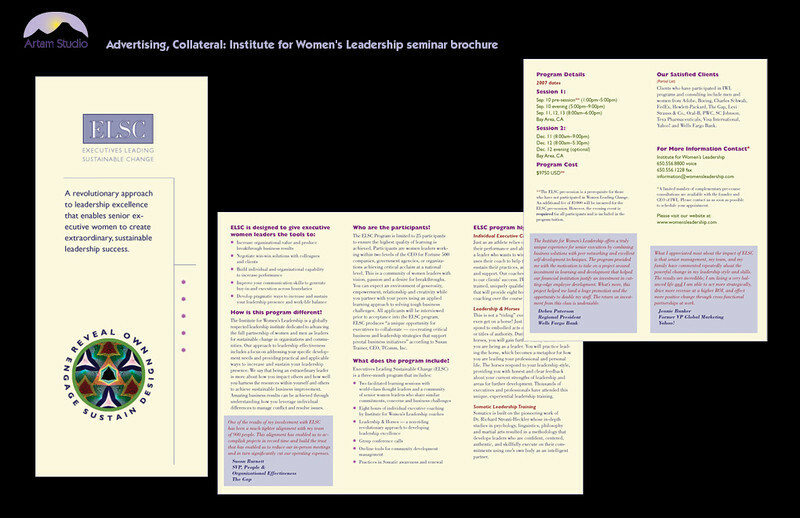 Design and produce trifold recruitment brochure for Institute for Women's Leadership ELSC workshops. Color palette picked up from existing pieces. 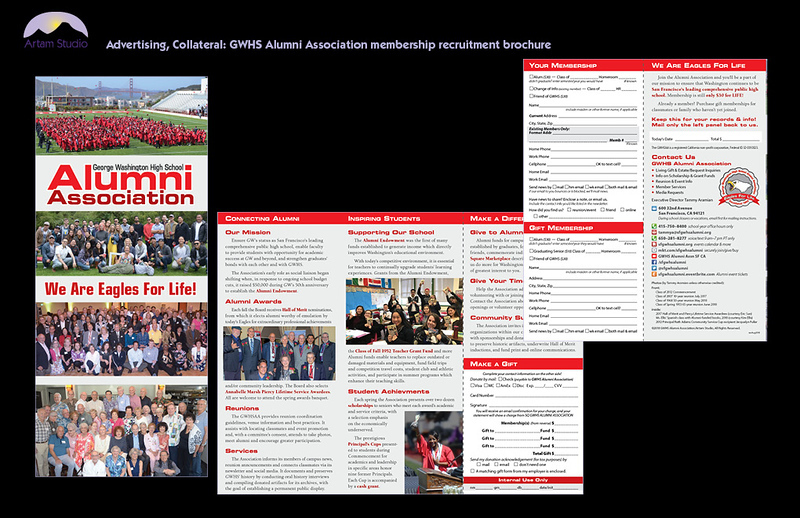 Design & produce full-page recruitment ads for GWHS Alumni Association; select & prep photos, prep & upload to printers. 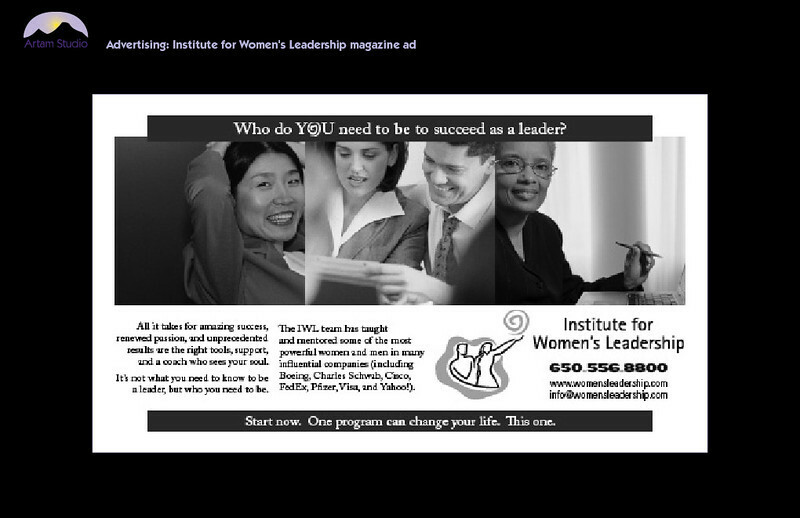 Design & produce half-page Institute for Women's Leadership magazine ad picking up elements from two previous full-page ads; copyedit accordingly. 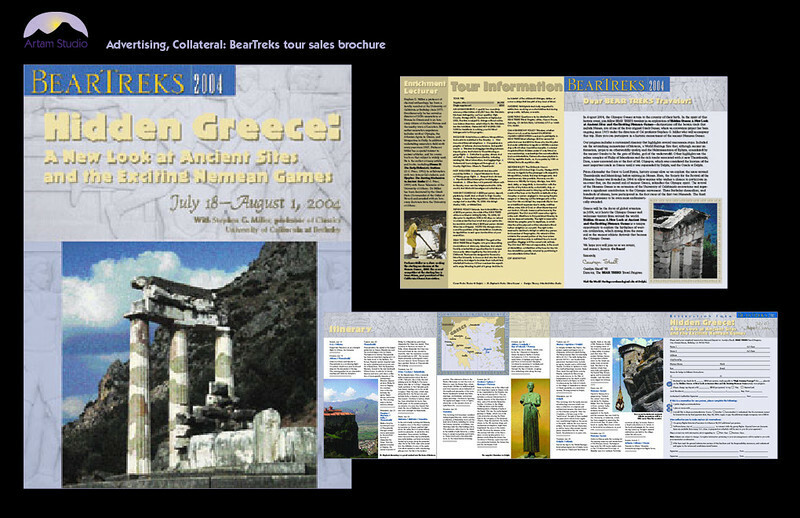 Design and produce 8-panel 4-color double-fold travel brochure for UC Berkeley Alumni BearTreks, including image sourcing; photo selection, scanning and color correction; creating infographics; spec colors & type; press check.